Bilbo Baggins was a very well-to-do hobbit living a contented life in the peaceful lands of the Shire when his accidental wish for adventure (that he didn�t even know he possessed) came true with the unexpected arrival of a Wizard and a clutch of Dwarves. Bilbo was descended from the Took line of Hobbits on his mother�s side � indeed the fabulous Belladonna Took was friends with Gandalf the Grey before Bilbo was born � which contributed to his latent wanderlust, a trait considered deeply counter to Hobbit sensibilities. He lived in a luxurious (by hobbit standards) dwelling known across the countryside as Bag End, which was built by his father, Bungo. 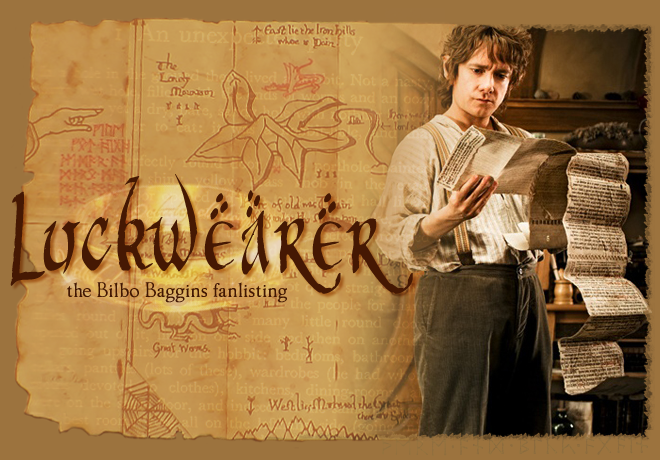 In 2941, Bilbo was recruited by Gandalf to operate as a Burglar in the Quest for Erebor (the Lonely Mountain) � and his many adventures truly marked the beginning of the Hobbits� involvement in the affairs of the world outside their insular Shire. -- with thanks to TheOneRing.Net. My own biography of Bilbo coming when my keyboard is not a pile of fail!